Only one photo tagged with Newby Bridge. If you have one, why not upload it? 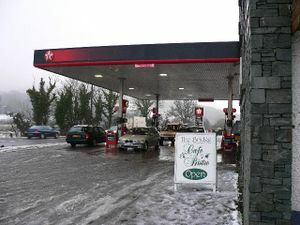 Close to Lake Windermere so busy with tourists, this petrol station dates back to at lest the 1950s. It used to be branded Texaco.